On January 28, 2018, the Lagos State House of Assembly passed the Land Use Charge Law (LUCL), 2018, with the aim of increasing the revenue generation base of the state. The LUCL seeks ‘to provide for the consolidation of property and land based charges and make provisions for the levying and collection of Land Use Charge in Lagos State and for connected purposes. The LUCL which came into force on February 8, 2018, dramatically increased the land use charges property owners and occupiers of leaseholds are to pay on their property in Lagos State. Following intense public outcry against the LUCL 2018, especially the hikes in land use charges, the Lagos State Government convened a public hearing on March 27, 2018 in order to provide a platform for the public to ventilate their grievances about the new legislation. SPACES FOR CHANGE submitted this memorandum to the Lagos State House of Assembly and addressed the state lawmakers at the hearing. 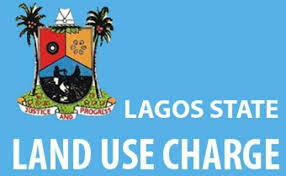 The memorandum urges the Lagos State legislature to review several provisions of the new law.